Richmond, VA (August 15, 2018) –Richmond-based vehicle consignment and remarketing business, CarLotz, is excited to announce that it has made the Inc. 5000 list of fastest-growing private companies in America, landing at No. 460 on the 37th annual ranking by Inc. magazine. 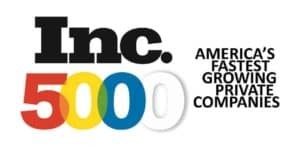 The Inc. 5000 list represents a unique look within the American economy’s most dynamic segment—its independent small businesses. Companies such as Microsoft, Dell, Domino’s Pizza, Pandora, Timberland, LinkedIn, Chobani, Zillow, and many other well-known names have been previous honorees on the Inc. 5000 list. available on newsstands August 15) been very competitive within their markets, but the list as a whole shows staggering growth compared with prior lists. The 2018 Inc. 5000 achieved an astounding three-year average growth of 538.2 percent, and a median rate of 171.8 percent. The Inc. 5000’s aggregate revenue was $206.1 billion in 2017, accounting for 664,095 jobs over the past three years. CarLotz (www.CarLotz.com) is a used vehicle consignment and retail remarketing business that enables consumers and corporations to make the most money possible when selling their vehicles. For a flat fee, CarLotz will prepare the vehicle for sale, market it nationwide, manage buyer questions and conduct test drives from its retail stores, negotiate a deal on the seller’s behalf, and ultimately cut them a check when the vehicle sells. The company’s unique consignment model typically generates sellers thousands more than trade-in and wholesale auction channels, while buyers shop attractive, competitively priced inventory online and through CarLotz retail locations. CarLotz was founded in 2011 and currently operates seven retail locations and three reconditioning centers in Virginia, North Carolina, Florida, and Illinois.